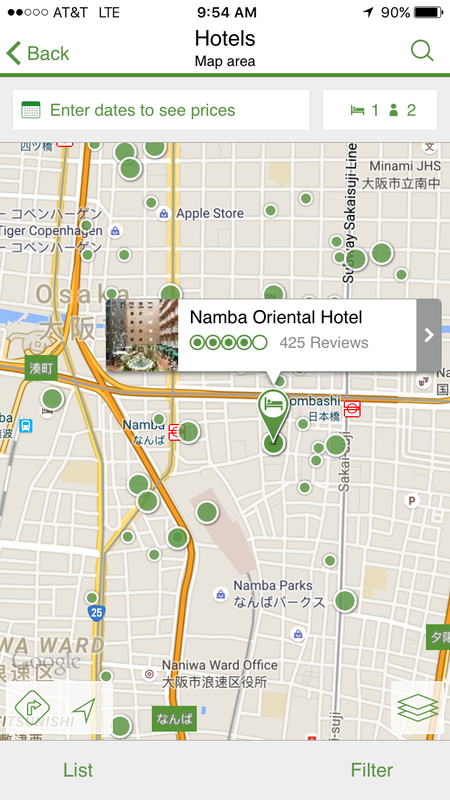 The Best Japan Travel Apps To Download Now! With today’s technology, international travel has never been easier. When traveling to a foreign destination that you’ve never visited before, having a few travel applications can decrease stress and increase productivity while on your trip. These are a few of the best Japan travel apps that we found most useful during our visits to Japan! If you’re only going to download ONE app, let it be Google Maps. It’s by far the app that we used to most while in Japan. 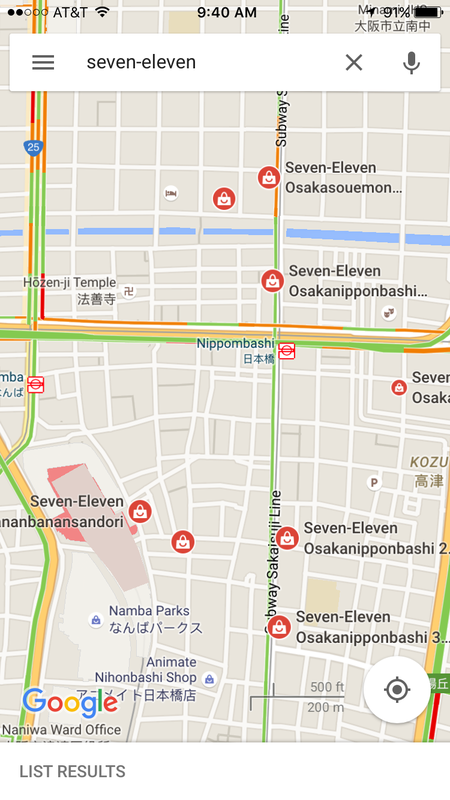 Google Maps allows you to be very efficient in how you travel from place to place, regardless of your method. I love how this app allows you to change your method of travel (walking, driving, public transit, etc.) and gives you both a map and turn by turn instructions. 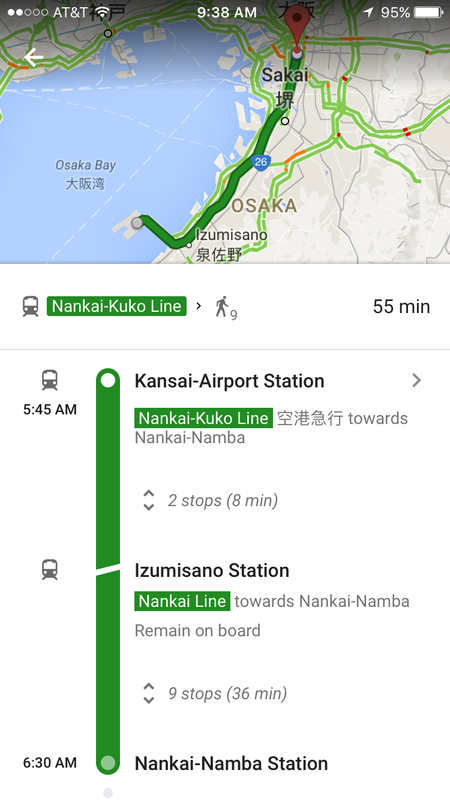 Another great feature of Google Maps is its ability to calculate your fare on public transit (i.e. trains, subways, streetcars, etc.) so you’re able to purchase the correct ticket and don’t have to worry about correcting your balance at your destination. 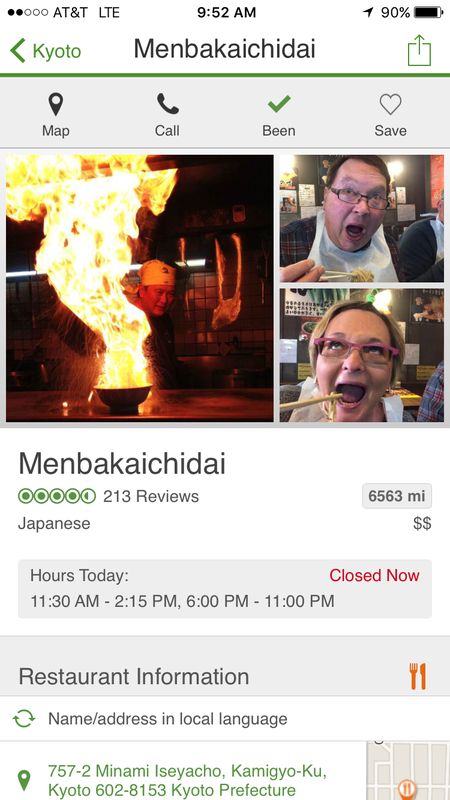 The last thing we love about Google Maps is that we were able to save all of the places we wanted to visit by flagging or favoriting locations and you can find many other neat things in the area by clicking on different places and seeing photos/reviews. We absolutely love TripAdvisor and have used it a number of times when researching and planning our trips. 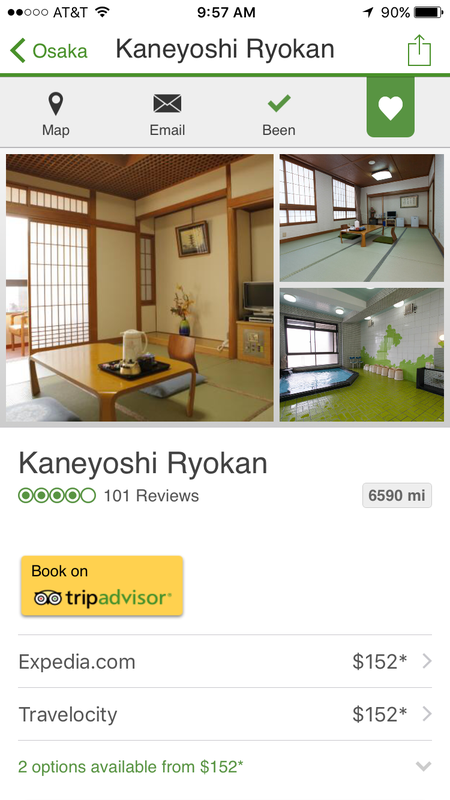 While it is good to reference printed literature when planning your trip, TripAdvisor is amazing because information about attractions/hotels/restaurants are typically updated frequently and it is free to use! Trip Advisor utilizes reviews and information given by travelers and professional sources to give you information about the best locations to visit, stay, and eat, to get the most out of your trip. You can also create lists to save everything in one place. One of the best aspects of TripAdvisor is its map and current location searches that allow you to search areas of interest near you. It was especially helpful on evenings when we had changed our itinerary and needed a quick place to eat nearby. While it is nice to visit “hot spots” in each city, we also enjoy trying new locations that haven’t been reviewed and sharing these new places with other adventurous travelers. I have learned that making an attempt to learn another language can go a long way in how receptive others are when you visit their country. Innovative Language 101 has a lot of great materials to get you started on the basics of many different languages and is available to use on your desktop computer as well as your phone. It also utilizes audio and visual lessons and has native speakers teach you proper intonation and phrasing of your desired language. 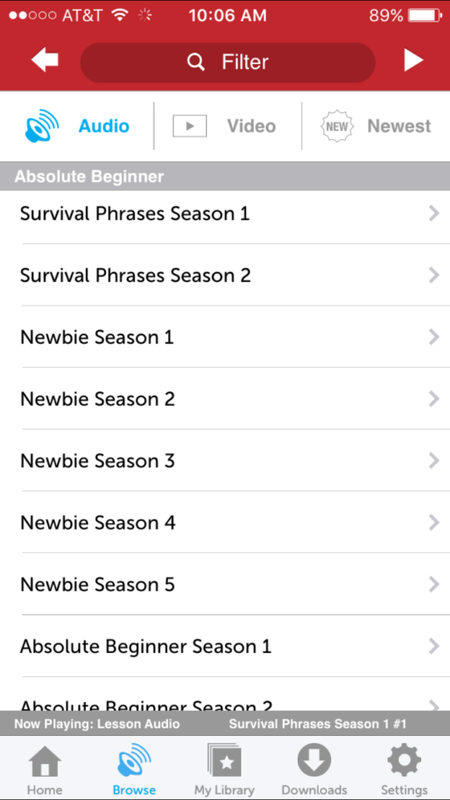 There are also written lessons, PDF files, and community forums to aid in furthering your language education. While the download and trial membership are free, to gain full utilization of all the resources there are various membership packages available for a monthly fee. While we all have the best intentions when it comes to learning a new language, more often than not we don’t quite achieve our desired proficiency before we leave on our trip. Thankfully Google has developed some great Apps that allow people to travel and communicate like never before. Google Translate is an amazing app that allows you to obviously translate simultaneously between two different languages. 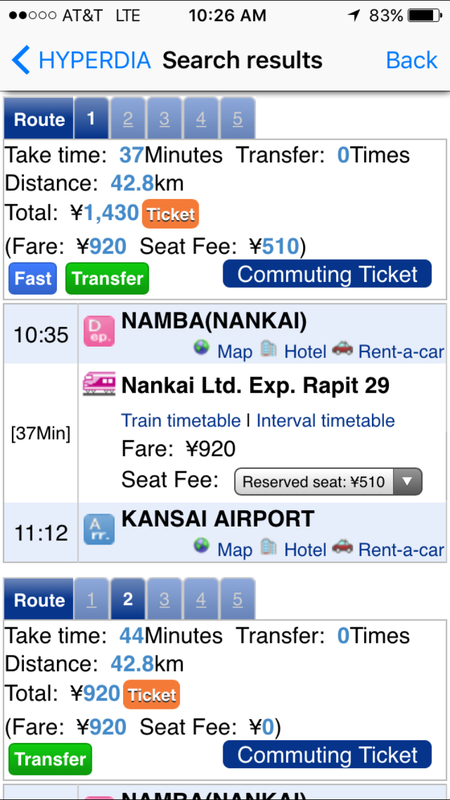 Hands down, this is one of the most useful travel apps for Japan. The basic function is to type in the desired phrase or word and the app generates the corresponding text in the desired language. However, this app goes above and beyond with its extensive interface. An example is using the microphone to seamlessly translate spoken words into a text and verbal reply. 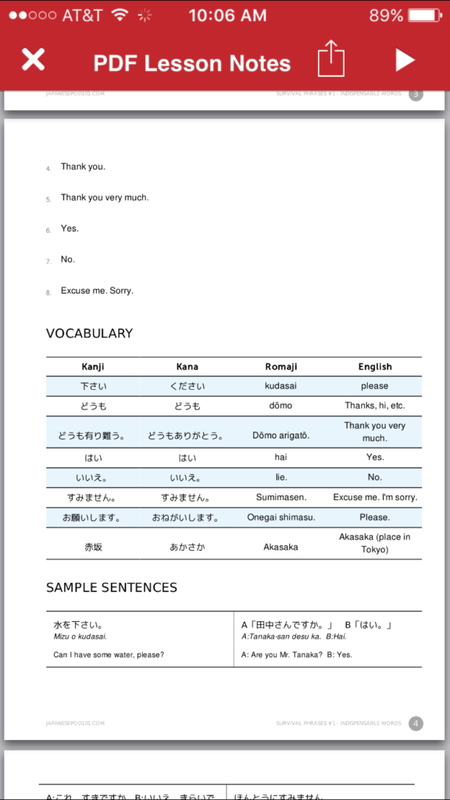 Another feature of this app which is still a work in progress is the written translation. 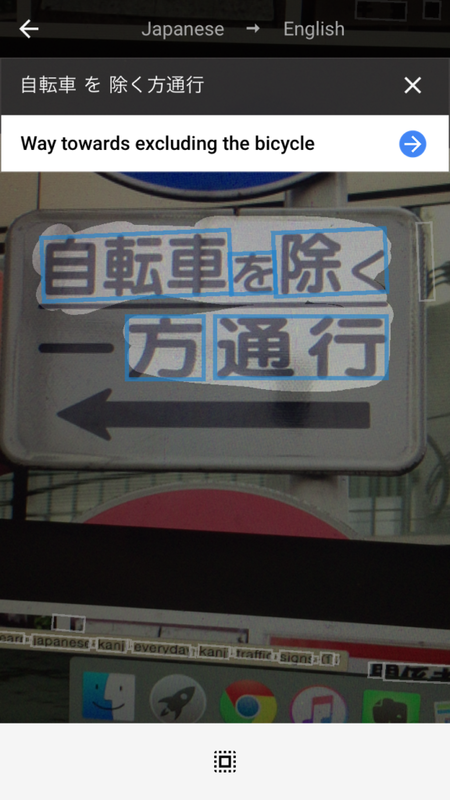 You can take a picture of text (i.e. a menu, or attraction pamphlet) and have it translated to your desired language. 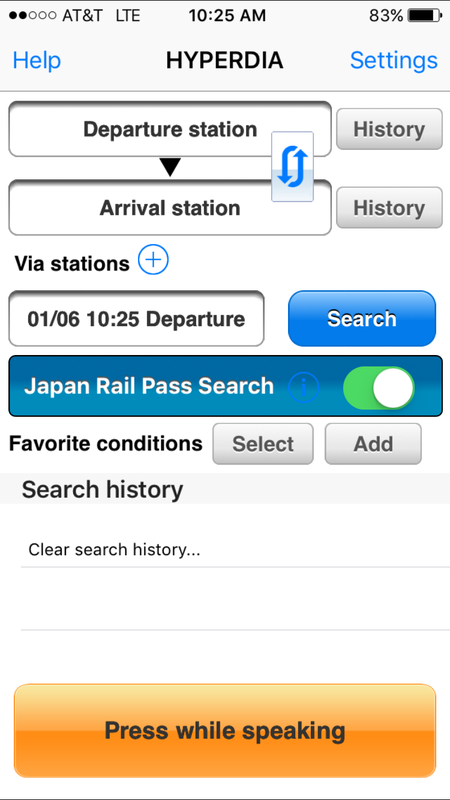 This railway timetable app is perfect for planning out when you need to catch your train. 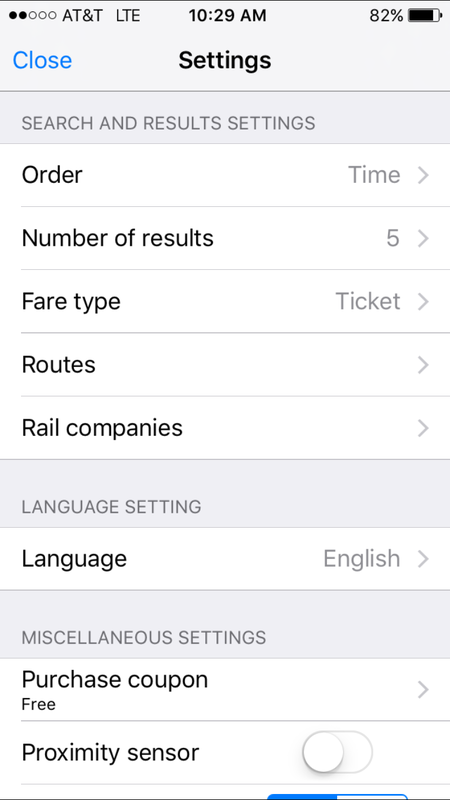 We love this app because it allows you to set specific times, railways, and other variables to determine your best route. 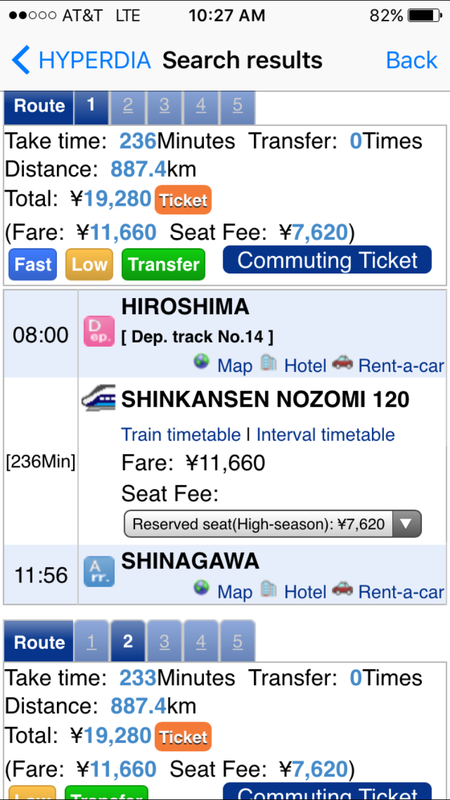 Hyperdia gives you information on what type of seats are available, cost, and duration of your trip. Do keep in mind that this app has a 30 day free trial period after downloading the app but even with a membership, Hyperdia is still one of the best Japan travel apps. This map application is wonderful for those who won’t have constant internet access while abroad. You can download various city or region maps and utilize them while you are disconnected to the internet. 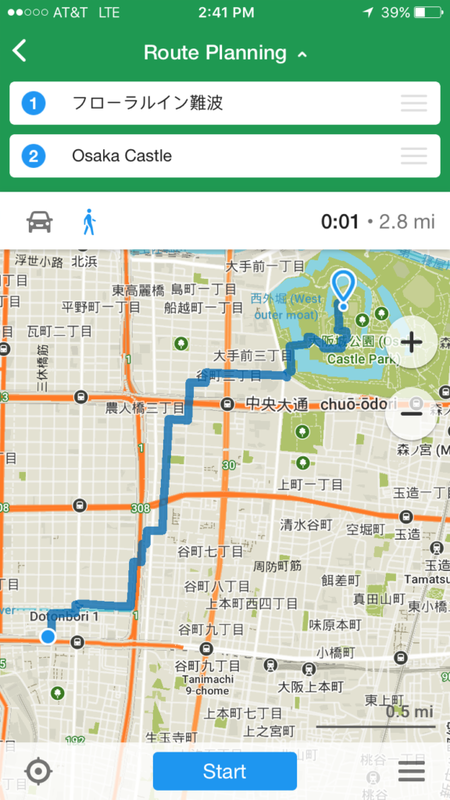 While limited compared to a lot of the other navigation apps, Maps.Me allows driving and walking directions by utilizing a phone’s GPS capabilities. 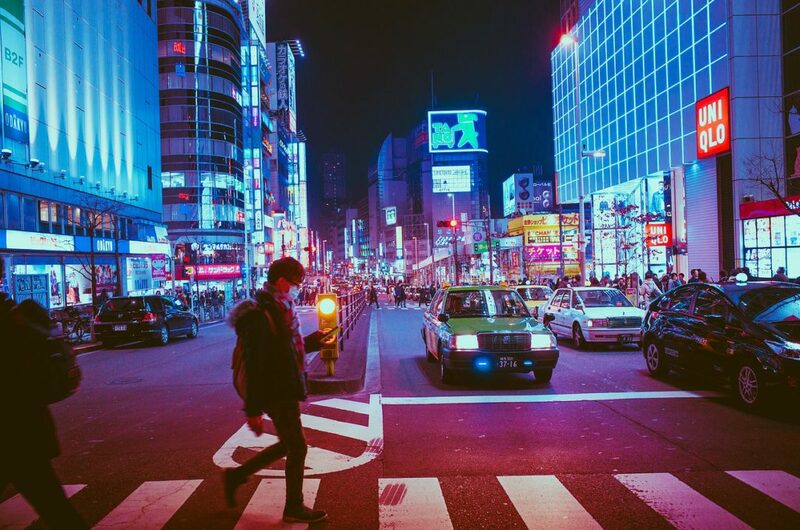 We definitely consider these to be the best Japan travel apps and they were seriously live savers on our three week trip to Japan and again when we moved to Japan for three months. 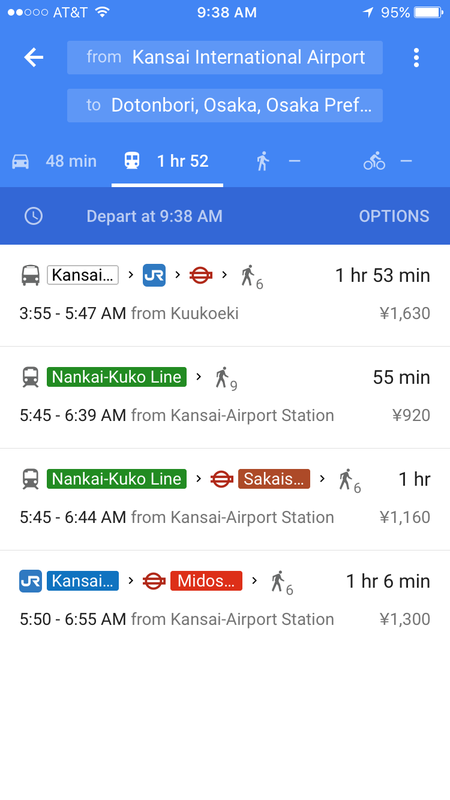 Whether it be to get around, search for something to do, or aid in communicating, we highly recommend all of these travel apps for Japan to help make your trip easier and stress-free! What were some apps that you couldn’t live without while traveling abroad? 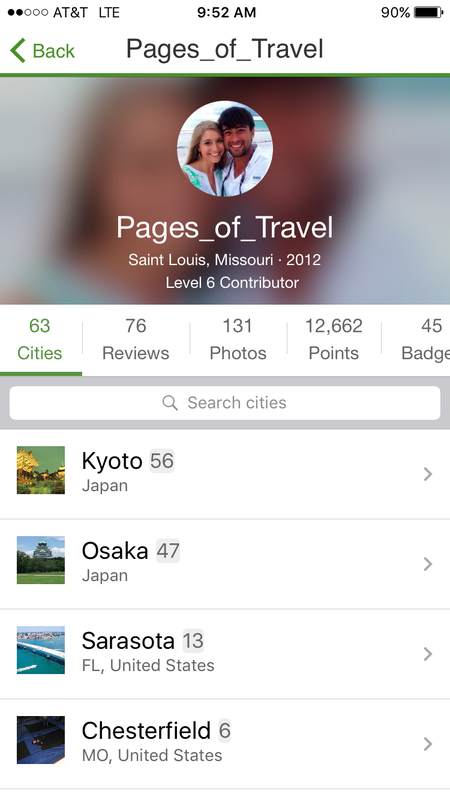 Which of these best Japan travel apps do you already have and utilize? This kind of tips always help a lot for first time traveler and this what a travel blogger must share with their followers. Thanks for sharing. Thanks nomadicfoot! I hope they were able to help you plan your next trip in someway. That is, if you aren’t already using them! No problem Cora! 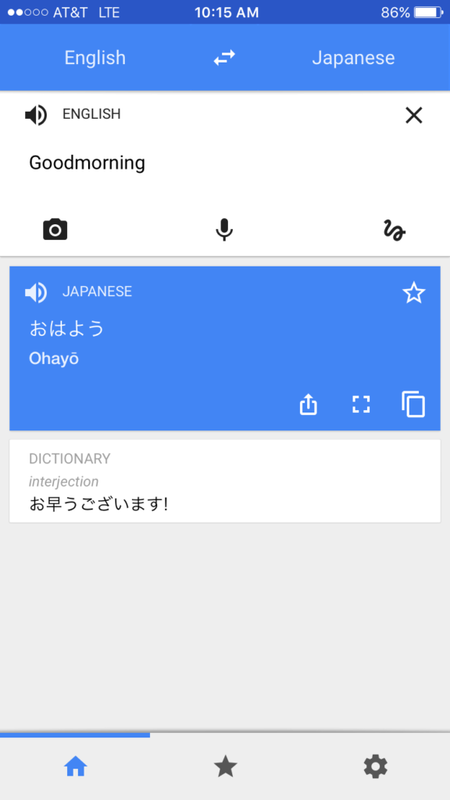 Be sure to check out Google Translate as well since that is a free app! Now that they have the photo text feature it’s extremely handy. My dream is to visit Japan one day. This article only made me start planning realistically when I can actually make that trip. It was super informative and showed all the pros and cons to each app. Now im much more confident about my choice of app when I visit. Ana, I hope you’re able to make it too! It’s a fascinating and unique country. If you need any trip planning advice be sure to let us know. We’d love to visit Israel, is that where you’re from? Kallsy’s sister and my brother both visited a few years ago during a time of tension but they still talk about the remarkable experiences they had there. Maybe when we come you can be our guide! Maps.ME is seriously my favorite app ever. It’s gotten me through some stressful “lost” situations in the US and abroad. Thanks for sharing these! I’d love to go to Japan in 2017 so I’ll bookmark this post for later! Thanks Logan and Kallsy! Glad to know it’s just as useful in other countries too! We hadn’t heard about it until we went to Japan. I’m jealous that you’re going so soon! We’ll be there again in 2018. Thank you Colleen! 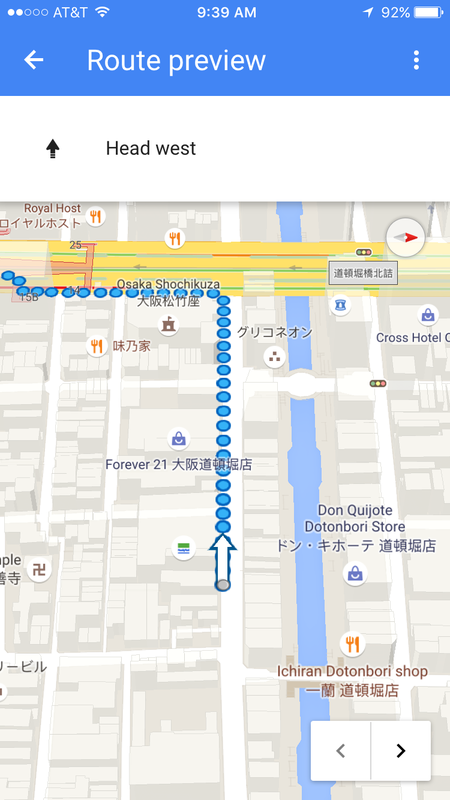 Google translate and google maps are LIFESAVERS! Thanks for sharing these. My favorite app is Google Maps because you can download the maps offline! Agreed Mr. Mike! Google has a plethora of amazing resources! We use Here as it has also an off line option and so far it’s been a good tool. We usually rent a portable wifi device that gives us access to plenty of data or unlimited. We thankfully didn’t have any “hidden fees” on our cell phone bills when we came back! $400 though, that’s a serious buzz kill! Sorry that happened to you! What were you using for wifi?